This week, we feature Morton High School on ABC7's Friday Flyover, celebrating high school sports. BERWYN, Ill. (WLS) -- This week, we feature Morton High School on ABC7's Friday Flyover, celebrating high school sports! 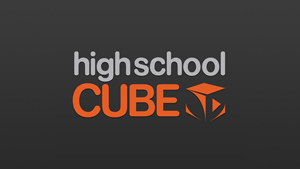 High School Football gets into high gear every Friday with a full slate of games supplied by the High School Cube. ABC7 Sports will air highlights of some of these games on TV during ABC 7 Eyewitness News at 10 PM. Morton West High School in Berwyn is home to the Mustangs! 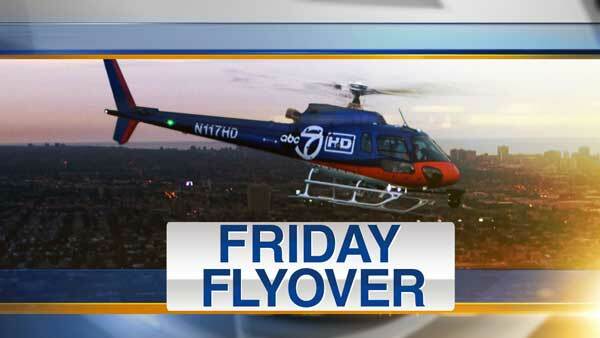 Friday Flyover returns to ABC7. Local high school students show their school spirit every week before the weekend's big high school football match-ups. Morton West High School serves the communities of Berwyn, Stickney, Forest View, part of McCook and part of Lyons, IL. Senior Weisner Perez played basketball for the National Dominican Republic U18 basketball team this summer and has committed to playing for Harvard next year. Boys volleyball was a state qualifier and winner of the 2014 IHSA sportsmanship award. Stadium and Turf were renovated this summer. New turf was installed, underground piping and drainage was completely redone. Track, sound system, locker rooms were redone. A concession stand, entry arch and Morton Crest were constructed. Daisey Noriega appointed National Communications Agent and Journalist for the JSA National Publication, JSA Today, one of only 13 students appointed nationally. Niquan Dawson was appointed the CIA agent for the Mid-West cabinet, one of seven students who facilitate communication between the many local JSA high school chapters. Noriega was one of 60 students nationally who was chosen to attend the JSA National Leadership conference in Montezuma, California. JSA students attended Ivy League schools such as Stanford, Princeton, Georgetown and U of V. this summer past summer to complete Advanced Placement Social Science coursework. Morton West was elected 2014 Mid-West Chapter of the Month in February and Chapter of the Year for their outstanding work and participation at the Congresses this year. During several Congresses and Summits, Morton West students have obtained Best Speaker Awards for their performance in these many debates.